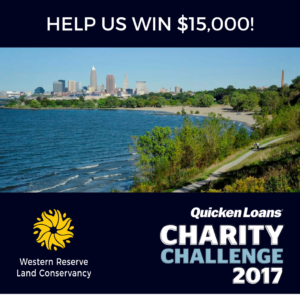 Western Reserve Land Conservancy has joined the Quicken Loans Cleveland Charity Challenge, a fundraising competition on CrowdRise, the largest crowdfunding platform for good. 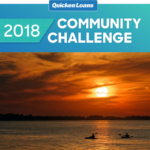 The Quicken Loans Charity Challenge is a friendly fundraising competition where Cleveland-based charities compete to raise the most money with the top teams winning cash prizes from Quicken Loans. 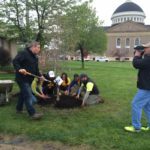 Participating organizations will compete for $50,000 in prize money. The Quicken Loans Cleveland Charity Challenge launched on CrowdRise on November 27, 2017 at 12pm ET and runs through January 4, 2018 at 1:59:59pm ET. To help Western Reserve Land Conservancy with the Quicken Loans Cleveland Charity Challenge head to https://www.crowdrise.com/o/en/campaign/western-reserve-land-conservancy-qlcleveland2017.